There's no risk of getting bored above the clouds! 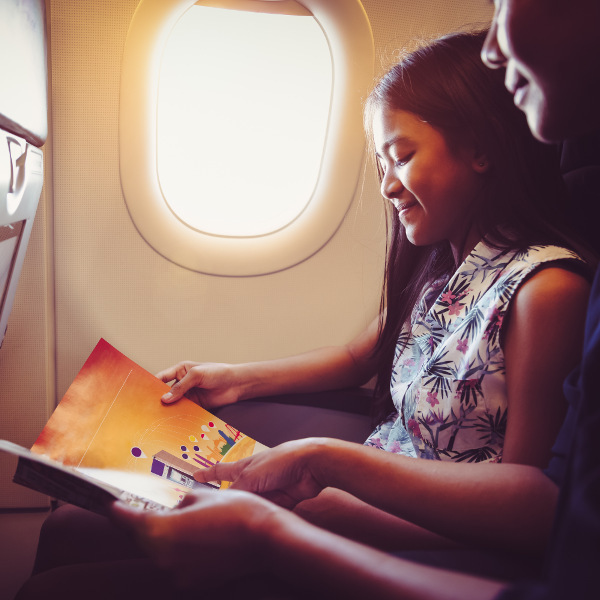 MEA's on-demand entertainment system offers personal screens where you can choose from a wide selection of films, music and games to enjoy throughout your flight. MEA offers passengers a wide selection of meals according to departure and flying time. Enjoy freshly-prepared meals with strong European and Lebanese influences. Take advantage of reduced prices and tax-free shopping on board. You can pay for purchases using Mastercard, Visa and American Express. Middle East Airlines (or MEA) is the national flag carrier of Lebanon, operating scheduled international flights to destinations in Asia, Europe, and Africa. It also charters flights to leisure destinations in various countries from its base at Rafic Hariri International Airport in the lovely city of Beirut. After 72 years in operation, Middle East Airlines has certainly secured itself as a leading airline. As a member of the SkyTeam Alliance, MEA allows you access to more than 600 lounges around the world, together with an extensive route network. Book Middle East Airlines flights to Athens, Frankfurt, London and other exciting places! MEA uses a weight concept for their baggage restrictions. Please refer to the airline website to calculate the baggage allowance based on your trip. For carry-on baggage, passengers are permitted one piece of baggage weighing no more than 10kg. Infants have a free baggage allowance of 10kg. Passengers can check in up to 3 hours before scheduled departure time. Check-in desks close 45 minutes to 1 hour prior to the scheduled departure time. Boarding gates close 15 minutes before departure time. Your preferred seat choice is a mouse-click away. Check in and print your boarding pass online. Online check-in can be performed from 24 hours to 3 hours prior to flight departure. When you fly with Middle East Airlines you can enjoy state of the art on-board entertainment with Audio and Video on Demand and choose from an array of music and movie channels. The relaxed and lively culture of Lebanon is represented in the interior colours of MEA’s fleet with special consideration to the needs of passengers. 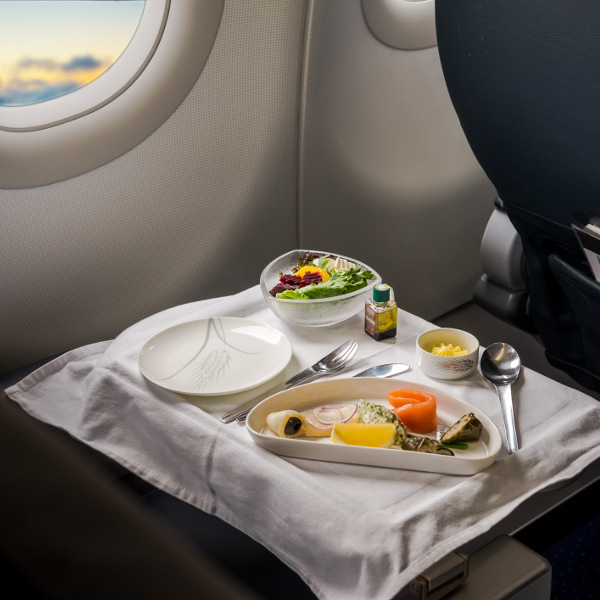 MEA has a range of meals to satisfy the special dietary needs and tastes of passengers. Simply indicate your preference at reservation.